The field of Democratic presidential candidates is wide open. Senator Elizabeth Warren, Senator Kirsten Gillibrand, Senator Cory Booker, and Senator Kamala Harris have all dipped their toes in the chilly water that is the 2020 election. Choices are usually positive in most things, except when it comes to school choice. Of all the politicians mentioned above, Cory Booker, the former mayor of Newark, New Jersey is the least friendly to public education. He is a Republican in a Democrat’s suit. If you are a person who believes that public education (at its best) is the bedrock of American Democracy, Senator Cory Booker is not your man for president. As the Mayor of Newark, Booker rightfully recognized the savage inequalities between suburban and urban schools. 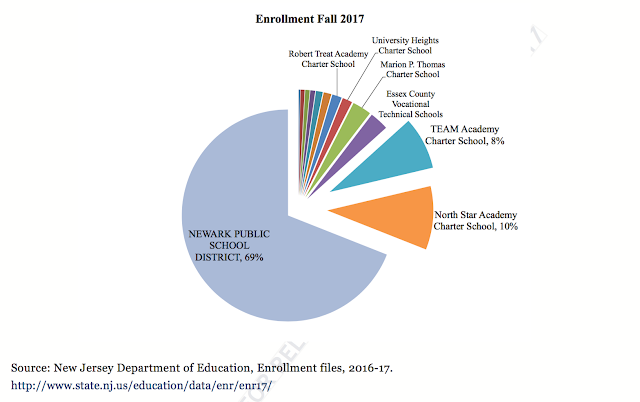 The city schools in Newark were considered so underperforming that the state of New Jersey placed them under state control. However, instead of watering the plants in his part of the garden state, Booker jumped on Obama’s Secretary of State, Arne Duncan’s Race to The Top “prize” money paradigm: Common Core Curriculum, teacher evaluation based on corrupted rubrics, merit pay for teachers dependent on this flawed system, and the opening of charter schools. Booker announced on the Oprah Winfrey Show that Facebook mogul, Mark Zuckerberg would finance Newark’s overhaul. Winfrey also championed Booker, and many urban parents across the country looked to charter schools and philanthropy to fix a broken public system. Celebrity intervention led to two hundred million dollars donated. Booker had an opportunity to advance urban schools (aka education for mostly non-white students) with the stakeholders but chose wealthy donors from Chicago and California. Many Newark City Public School buildings were either shuttered or converted to charter and magnet schools. The best school reform story in America? How can the siphoning off of thirty-one percent of the student body into charter schools be the national example of school reform? Charter schools use public funds but are typically run by private companies, with appointed, not elected, board members. Charter schools are selective in whom they accept into their schools with appalling low rates of students who speak English as a second language or receive special education services. Using charter schools as a reform model is like having a remodel in your home go poorly, so you have another family live in your old run down house, and you go to a new, shiny dwelling. You are paying for both houses. The grass is not greener in the new yard, and the grass at the former dwelling is brown. Charters are not the cure. “The research, also released as a non-technical report, looks at two ways the reforms may have affected students: by making existing schools better and by moving students to more effective schools, including charters. Moving students to better schools did help, but existing schools didn’t consistently improve – and in the first three years got substantially worse in both subjects. And not fully appreciating the long-term impact of “educational reform” is the rub. Using our children as guinea pigs and political pawns is never the answer. I have always preferred the Irish spelling of Corey instead of Cory. Maybe it is because I married a Corey. However, even if Cory Booker spelled his name correctly, he would not be the answer to what ails us. The children in our great country need a champion for quality education that places public school at the top of the choice.